An SEC review of transactions made between January 2011 and December 2012 found found all firms involved deficient in maintaining and enforcing the suitability standard. At least one employee benefits plan purchased large numbers of structured securities products that were later liquidated well below face value, possibly to the benefit of the broker-dealer that marketed the products, according to a risk alert issued by the Security and Exchange Commission’s National Exam Program. Staff at the SEC’s Office of Compliance Inspections and Examinations analyzed over 26,000 sales of SSPs totaling $1.25 billion in principal transactions at 10 branch offices of registered broker-dealers. The SEC’s review of transactions made between January 2011 and December 2012 found structural compliance issues in all the firms involved. Specifically, the SEC found each firm deficient in maintaining and enforcing the so-called suitability standard, which governs an investment product’s appropriateness for a given investor. Internal emails at one branch indicated broker reps mischaracterized the “underlying attributes” of the products, and “aggressively” recommended SSPs to non-English speaking investors. SSPs often incorporate baskets of securities, including underlying index, option, commodity and currency funds, and often come with principal protection for investors. They have been increasingly marketed to retail investors as a way of generating income in a low-interest rate environment, according to the SEC. The SEC’s review revealed significant transaction activity in the accounts of elderly clients at two firms, which had no documentation of the clients’ age, a consideration that would have to be weighed to gauge the suitability of the recommendation, according to the risk alert. In another instance, emails indicated reps at one firm retroactively changed customers’ investment objectives without their approval, in order to justify high concentration of SSPs. In the two-year period examined, over 35 percent of the SSPs were liquidated at prices below 80 percent of the securities’ face vale, according to the SEC. Failures in internal oversight were comprehensive, said the agency. “The examinations revealed that all of the examined firms failed to enforce their written supervisory procedures relating to reviews of representatives’ determinations of suitability with regard to SSPs,” according to language in the alert. At a branch of one broker-dealer, SSP transactions accounted for asset concentrations that far exceeded the firm’s recommendations, suggesting a failure in internal controls to trigger compliance officers’ attention to the transactions. In fact, in the case of one firm, a branch manager or compliance officer signed off on the transactions, even though they resulted in allocations to SSPs that far exceeded recommended levels. The alert comes as the Department of Labor is in the process of finalizing its fiduciary rule, which would hold broker-dealers that advise IRA investors and most defined contribution plans to a fiduciary standard of care. As is, those brokers are held to a suitability standard, which is enforced by the Financial Industry Regulatory Authority. “The report is devastating for investors, revealing broad-based deficiencies in upholding suitable recommendations for some of the most vulnerable investors,” said Rostad. Opponents of the DOL’s rule suggest a new best interest standard is appropriate, but that it should not be enforced by Labor. Finra and the SEC are the agencies with the appropriate jurisdiction, argue the opponents. Rostad says the latest findings in the risk alert suggest differently. He added that the alert shows the failure to enforce a suitability standard in any meaningful way was not only evident in the firms examined, but also with Finra. The SEC could not give information beyond what was published in the alert, so it remains unclear how many retirement pension plans were subject to the exam’s findings, whether they were defined benefit plans, or defined contribution plans that offered broker windows thorough which participants could have purchased SSPs. Nor is it clear if sales of the SSPs in question were made to individual investors through IRAs. Transactions in the retail market made outside of IRAs would not be subject to the DOL’s proposed fiduciary standard. Neither is it clear what action will be taken against the firms the SEC examined. 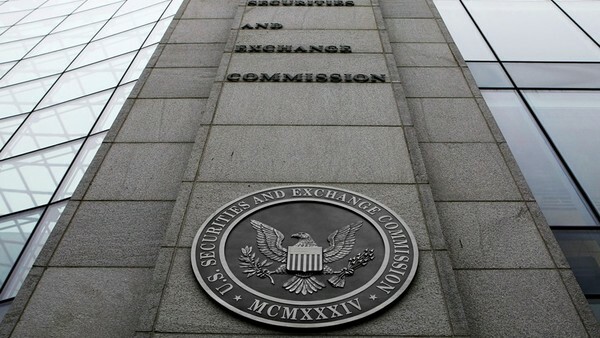 The results of the exam would then be referred to the SEC’s Division of Enforcement, which after further investigation may recommend to the five commissioners that charges be brought against the broker-dealers.